Severn River Men finished up their Mid Atlantic Conference Division III season at home on Saturday vs Washington Irish. The boys in green and blue shot out of the gate from the opening whistle and did not let up, defeating the Irish 30-20. 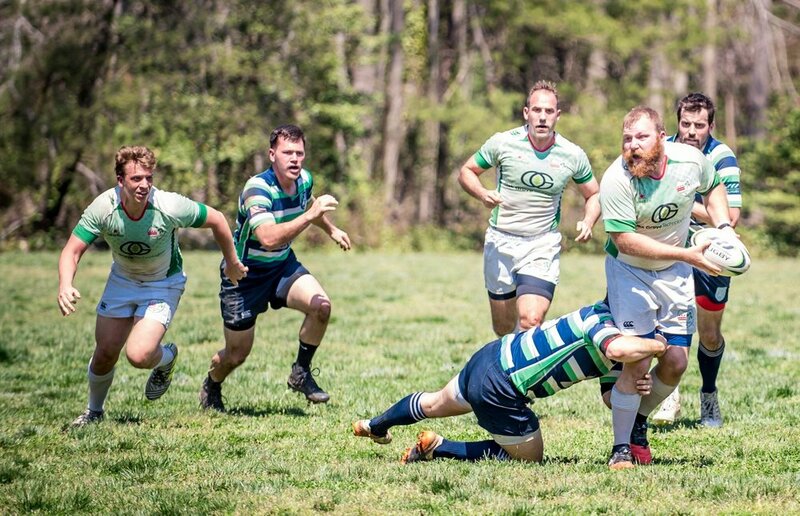 Severn had a small bump in the road as their first try scored by lock Rich Maldonado was disallowed and ruled a knock-on, but they quickly found their way back into the try zone via Erik “Punchy” Dronberger. Dronberger had a tough day at the kicking tee only converting 1 of 5 conversion attempts, but made his presence felt on the score sheet via two trips to the try zone and a converted penalty kick. Former team captain Jim Benson made his return to the starting lineup after a recurring hamstring injury had kept him on the bench for most of spring play. Benson wasted no time asserting his influence on the game, making several hugely important tackles, as well as finding his way to the corner flag on a well-executed piece of wide play towards end of the half. Coming out of the break, up 20-0, Severn kept the pressure on with another try on a deep kick into the corner by Dronberger, recovered and scored by inside center Milton Greenstreet. The weather was quite a factor for the last quarter of the match, as heat reached upwards of 90°F during the afternoon and both teams started to wilt. Irish made a bit of a comeback in the heat, finding their way into the try zone 4 times in the second half. But their attempts for a comeback fell short, the match ending with Severn’s third win of the spring season. Man of the match for River was a hotly contested award on Saturday, with several great performances on the day, but Rich Maldonado and Wing Zach Lammers rose to the top of the heap, splitting the distinction after the game. 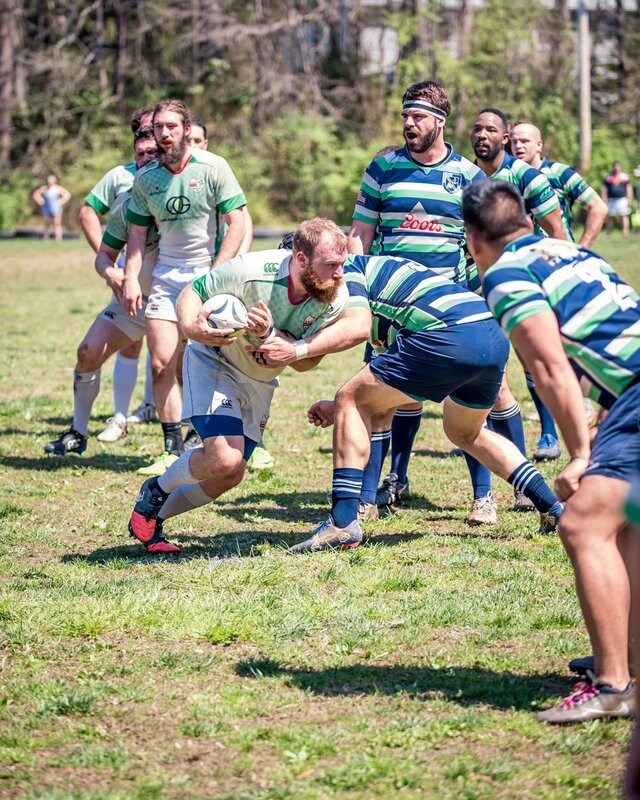 This week, Severn travel to Philadelphia to take on Media RFC in a friendly this weekend at 1pm.